In effort to keep up with my cravings for all things lemon-y this summer, I found an easy recipe for Lemon Curd Ice Cream. It was the perfect summer treat for our Fourth of July celebration with friends. For Fourth of July we gathered with some friends and grilled everything imaginable; we also enjoyed several American Wines. We grilled turkey, sausage, chicken, vegetables, and pineapple. The only thing we didn’t put on the grill was the wine and of course the ice cream. I first got hooked to Lemon Curd with this same group of friends. Our friend’s mother frequently makes it and we enjoyed it on top of scones for brunch one morning. Last summer I made it for the first time and now I can’t seem to get enough. I’ve made it into Lemon Curd Ice-box Cake, Lemon Curd Whipped Cream, Lemon Curd and Scones or Toast, and now finally Lemon Curd Ice Cream. Mix all three ingredients together thoroughly with a wire whisk then place in ice-cream maker and follow instructions for the specific maker. Freeze for 3 hours or overnight before enjoying! The perfect summer ice cream! What a delicious sounding ice cream. 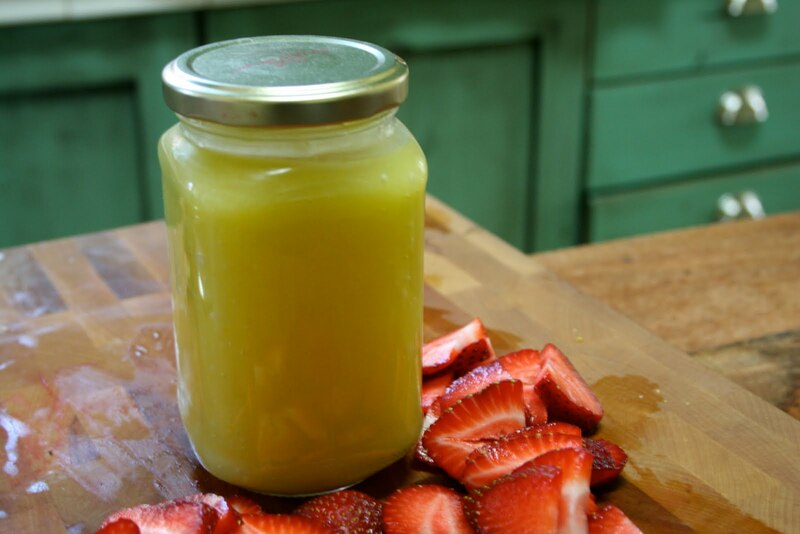 I have had lemon curd sitting without a home before, this would be a great recipe to finish the last cup. Thanks for sharing the recipe of Lemon Curd Ice Cream. Will give it a try and see if it tastes well. possibly the best ice-cream i've had. so refreshing!! i had the extreme pleasure of enjoying this tasty ice cream. totally delicious and bursting with lemony summer! i loved it. Your links to lemon curd aren’t working. Is the recipe still on your blog? It sounds delicious and I’ve love to try it.